The circumstances of his arrival couldn’t have been more inclement. Seconds after setting foot on the good ship Chelsea FC, former Liverpool, Valencia & Inter boss Rafael Benitez was struck by wave after wave of hostility that, at times, looked persistent and sizeable enough to drown him. As he floundered about on an unfamiliar deck, dissenting voices rang out, reminding him of the damage he caused to Chelsea’s European voyages in previous years, the fact that his arrival was at the expense of the man who had steered the ship to Champions League glory only five months before and he’d mocked their flag. Oh, and most importantly, that a fat Spanish waiter had no business on the deck of such an esteemed vessel. Fernando Torres: With A Little Help From His Friends? Rafa Benitez has used his latest press conference to claim that his misfiring striker can improve “with help from his team-mates“. 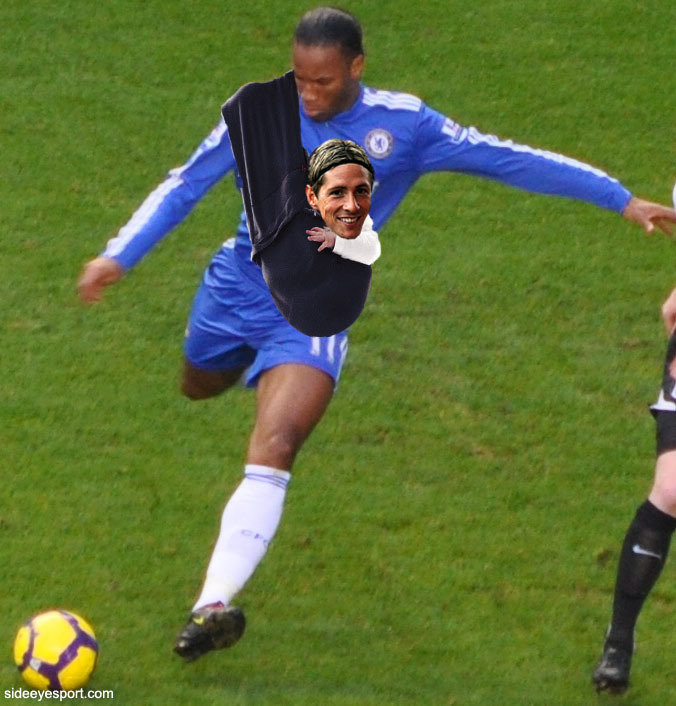 At this point in Fernando’s career, we reckon this is the perfect solution. Not only will a sling provide the kind of warm, safe environment he needs to find his confidence again, but it’s bound to be a big seller in the club shop, which can only help to offset the gaping hole in the club’s balance sheet he made when he arrived. Win win!